What is fifty years? In geological time, not even the blink of an eye. For an early settler, a life span wished for but often never reached. In the scope of social evolution, eons. 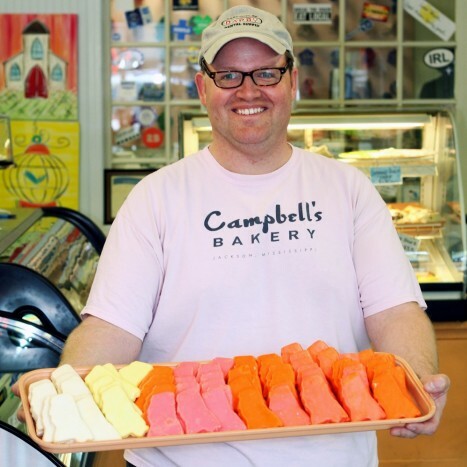 For a locally owned small business like Campbell’s Bakery, it is, simply, quite an accomplishment. 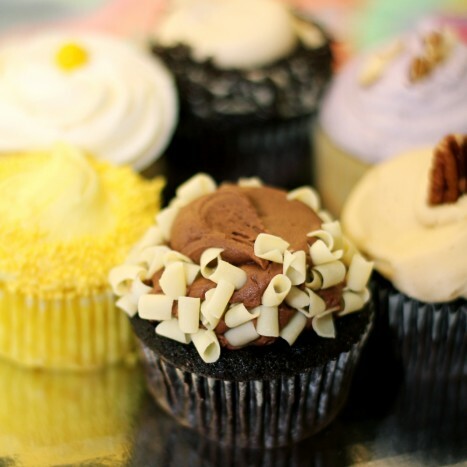 If the bakery is a living thing, and it is alive, if only with decades of memories and glucose-ghosts of pastries and patrons past, it has managed to thrive even as owners and the neighborhood around it were ever-changing. Louis Campbell, who started the bakery in 1963, was the first great steward of the continuing legacy. Change is constant but incremental, whether in the erosion of mountains made into canyons or the erosion of divisive prejudice keeping folks apart. In a city, a neighborhood, development sees buildings rise and fall, and only a few stand the test of time. Bill and Joyce Newton were married in 1963 and will also be celebrating a 50th anniversary this year. They’re part of the history, too. Joyce tells me they were walking through Fondren one night way back then, and stopped in front of the Campbell’s storefront. The next day, she went back to order her wedding cake. Just recently, she showed a photograph of that cake to Moore and asked him to recreate it for their anniversary celebration.